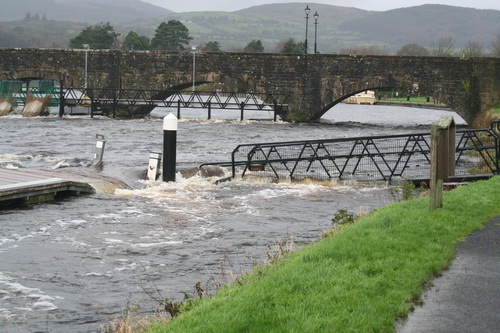 At its August meeting, the Killaloe–Ballina Local History Society presented “a selection of oral history recordings taken over 25 years ago of some of Killaloe’s and Ballina’s most elderly residents”; you can read about the event here. Most of the recordings were made in 1992. One was an interview with Tom Nolan, formerly of the Grand Canal Company, and you can read a transcription of the interview here. Watery news from the Guardian. That is, of course, the Nenagh Guardian, not that other provincial stalwart the Manchester Guardian. Four items in the issue of 2 June 2012 caught my eye. 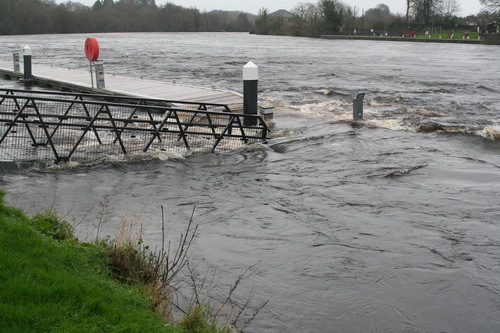 First, the members of the Nenagh Canoe Club have been cleaning up … the Nenagh River, a laudable endeavour. […] Jim Watkins, Eoin Little and Cllr Phyll Bugler of “The Friends of the Lake” have now initiated a project, which will be funded by Leader. I have no idea what it’s for; I would welcome more information about the project and about the Friends of the Lake, whereof I know nothing. 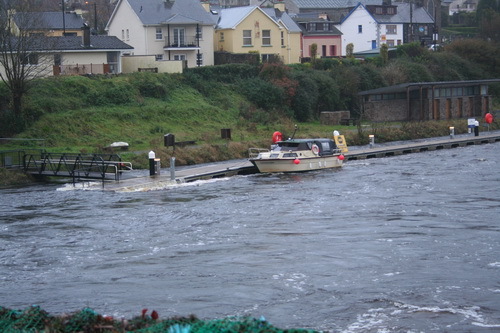 Third, the Lough Derg Marketing Strategy Group (which god preserve), which is coordinated by the Mid West Regional Authority (who knew? ), is holding meetings about signposts. What would be really nice, though, would be if the MWRA took down the pic in its header showing adults and children in an open boat without lifejackets. Finally, there’s a story about a proposed “fountain auditorium” planned for Birdhill [which was on the old N7, between Nenagh and Limerick, being chiefly famous for winning Tidy Towns competitions and being home to Matt the Threshers pub and eatery]. The “fountain auditorium” was, for reasons that are not entirely clear, to be a temporary operation, running until the end of 2016. It was to be located in a warehouse on the Shannonside Business Park (which is some miles from the Shannon). The proposed development is to serve as a tourist attraction centring on a fountain auditorium, in which audiences would be treated to pre-recorded shows marrying features of water, sound and synchronised lighting. 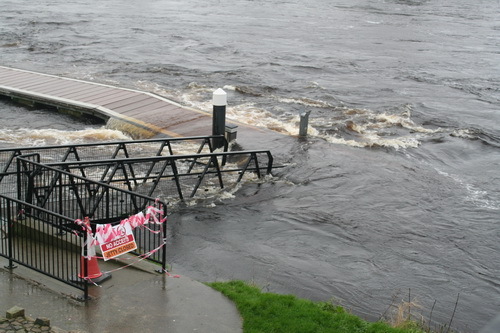 The shows would have a “welcome to Lough Derg” theme, and the centre would provide visitors with information on the likes of walking and cycling routes, accommodation options, and food establishments, together with information on the history of Lough Derg. It is not clear whether the words “fountain auditorium, in which” mean that the audience would be sitting in the pool or around it. The site was to have a “gift shop and café”. 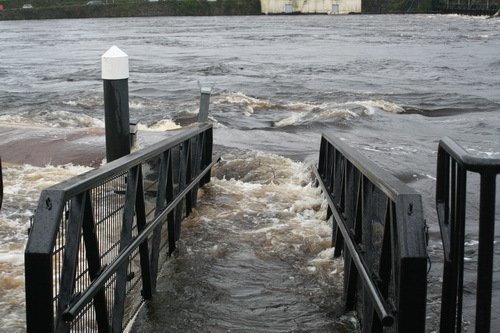 It expected to have 25,000 visitors in 2012 and 40,000 by 2016, after which it would move to permanent purpose-built premises with “a more comprehensive exhibition on Lough Derg”. Alas! 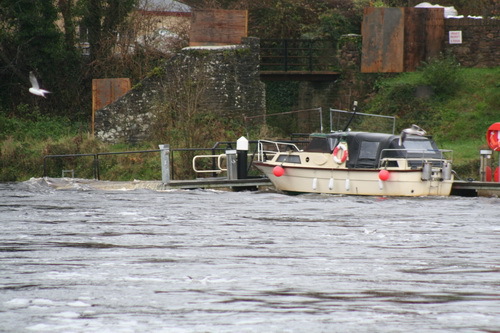 The proposed widening of the R494 road from Birdhill to Ballina, to serve the new bridge over the Shannon, would mean the loss of the space on which visitors’ coaches were to be parked. So, although the project received conditional planning permission on 16 May 2012, the promoters, Glance Promotions Ltd, withdrew their application shortly afterwards. However, that does at least suggest that they were not having any problem in providing the funding, which is good to hear in these difficult times. * The relevance of the title of this piece will be clear to the many admirers of the oeuvre of the 4th Baron St Oswald. The Birdhill Tidy Towns group has a heritage trail on its website and it was there that I first heard of the Dunally Line, AKA the R496. Tipperary North Riding County Council also uses the name [.DOC] and it is also used in several places on OpenStreetMap. I would like to know more about the date, purpose and circumstances of the construction of the Dunally Line.